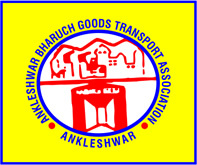 Association : -- Select Association -- AHMEDABAD Motor Transport Assoc.Akhil GUJARAT Truck Transport Assoc.AMRELI KUTCH Transport Udyog Assoc.Ankleswer Bharuch Goods Transport AccosiationBaroda Road Transport AssociationBHAVNAGAR Goods Transport Assoc.CHHATRAL Motor tpt.Assoc.DEESA Taluka motor ownr Assoc.GANDHIDHAM Goods Transport Assoc.Gujarat Road Transport FederationJAMNAGAR Goods Transport & comm. agent AssocKUTCH JILLA truck tpt. 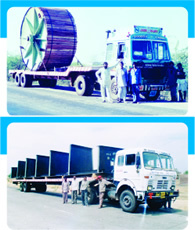 Assoc.MEHSANA Taloka truck tpt.Assoc.MORBI Truck Transport AssocPIPAVAV Container tpt.Assoc.PORBANDAR Truck Transport Assoc.RAJKOT Goods Transport assoc.SOUTH GUJARAT Truck Transport Assoc.SURENDERNAGAR Truck tpt. Assoc.Vallabh Vidyanagar (Anand) tpt.Assoc.